Place one of the three keys and the metal tongue with the punched key number in a secure location. Record the key number IMMEDIATELY in the online product registration form! Please register IMMEDIATELY after your purchase. 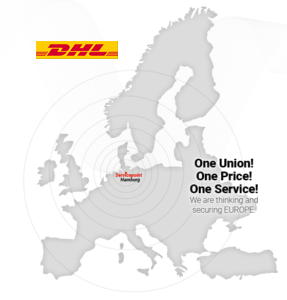 This ensures that your product is guaranteed for the next 3 years so you can benefit from our product and customer service whenever you need to – anywhere in Europe! Have the keys of your DISKLOK professionally polished by a keymaker or other service. This removes burrs, which can occasionally cause problems when locking (see 7.). Do not use oil or silicone based sealants, which can cause the lock to become stuck. Use our special graphite powder. Always place your DISKLOK on the steering wheel carefully. 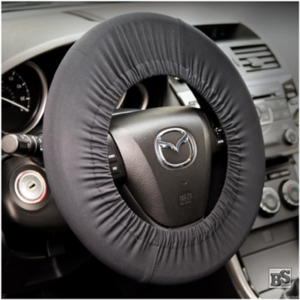 To protect valuable steering wheels and to increase the intended lightness of a DISKLOK on the steering wheel, we recommend the use of our steering wheel protection cover. Now swing the hand lever of your DISKLOK from the transport and storage position inside to the mounting position on the outer left. 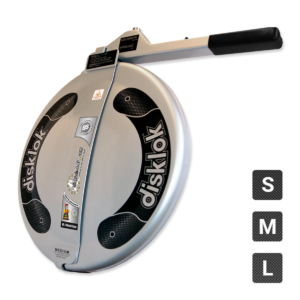 Your DISKLOK can now be pulled over the steering wheel from the side or from below and locked. both trays on the steering wheel and lock your DISKLOK by swinging the hand lever to the right until it lies completely flat. Avoid contact with the windshield. Turn the key in the lock to the left and pull it out. Push the spring-mounted blocking slide in the hand lever completely to the left in the direction of the closing cylinder. Lock your DISKLOK by simultaneously pressing down the lock cylinder. The hand lever is now locked and can no longer be operated. Unlock your DISKLOK. The locking slide springs to the right by spring pressure. If necessary, hold it by the thumb plate and guide it by hand. Loosen the hand lever and open the two trays so that you can take your DISKLOK from the steering wheel. Once you have your DISKLOK in your lap, turn the key completely to the left (see 5.3) and pull it out of the lock. You can lock your DISKLOK without a key next time; you only need the key to open your DISKLOK. Fold the hand lever back into the transport and storage position and close the two trays. 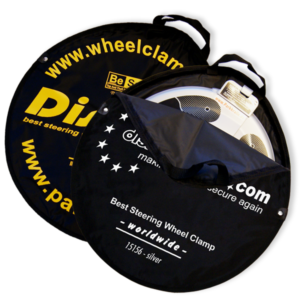 We recommend storing the DISKLOK and steering wheel protection cover in the convenient storage bag. Hang the bag, place it behind the driver’s seat, or place it in the trunk, so that everything is always ready to hand. The safety cylinder is made up of several layered discs, and can only be opened by bringing the discs into the correct position with the appropriate key. The edges of the discs and the keys are very sharp and can easily get stuck to one another. Therefore, before using the lock for the first time, we advise you to have the keys polished by a specialist to remove any burrs that might be left over from production. 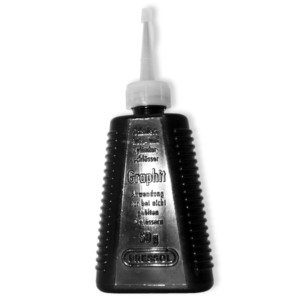 To keep the lock smooth, we recommend our graphite powder as a preservative. If your vehicle is exposed to direct sunlight for extended periods of time, your DISKLOK can become very hot. Consider this risk especially in the summer. In the storage bag your DISKLOK and all accessories will always be protected. The bag can be conveniently placed behind the driver’s seat or stowed in the trunk. This way, both the vehicle interior and your DISKLOK are always protected against impacts, scratches, or damage. The screw that holds the thumb plate at the end of the locking slide in the hand lever can come loose. If necessary, tighten the screw, but only hand-tight to avoid breaking it. You can prevent loosening of the screw by not catching the locking slide and guiding it by hand when you open your DISKLOK, rather than allowing it to simply jump under spring pressure. It is easier to insert the key straight into the locking cylinder without tilting it when you turn your DISKLOK towards the right side. This allows you to see the lock and the key. When locking is completed, simply turn the DISKLOK back to the upper position, so that the lever is pointing to the right. If you want to prepare your DISKLOK for the next use immediately after opening (i.e., before departure), turn the key back to the far left back before removing it. Then the lock is already activated, and you just have to press the cylinder down to lock it. You only need the key to open your DISKLOK. Your product registration was completed online within 30 days of purchase. This warranty does not affect your other legal rights. The manufacturer reserves the right to make technical changes to DISKLOK at any time in order to further improve the product. In normal use (key is completely inserted into the lock) the key can be turned 3/4 of the way around in the lock. Only then can the lock be opened. The safety cylinder of DISKLOK is a “multi-disc lock”. Many successive layers have to be aligned with the key in such a way that it fits completely into the lock. It may happen that individual discs twist and interlock. This is no cause for concern. The discs can easily be re-aligned. Insert the key (without force) into the lock as far as possible. Gently turn the key from the far right to the far left and back. Repeat until all the blocked discs are re-aligned. Never use oil to make the lock work again. If the lock was destroyed or the key was broken, you can get help through our repair service.  If your DISKLOK is locked on the steering wheel, you should have the lock opened beforehand by a key service or locksmith at your location so that you can detach your DISKLOK from the steering wheel and send it to us. Please be sure to put sufficient postage on your shipment. If you wish to order replacement keys, you must have registered your DISKLOK, including the key number, online in your name. If the product is not registered, we will require an original key, sent by insured post or package. Please be sure to put sufficient postage on your shipment. Order our replacement key service. We are your European supplier for the “DISKLOK steering wheel locks” variant for left-steered (continental) vehicles. Please contact us in case of problems or if we can improve our service. We answer all mail requests in the language in which they are written. Please allow us to use Google translator for this. Telephone inquiries can only be conducted in English. We therefore prefer written inquiries, which we will answer immediately.